The Smoky Mountains of North Carolina are home to a wide variety of bed and breakfasts and country inns, some of which were built 80 to 100 years ago and feature spectacular architecture and antique furniture, as well as plenty of modern amenities. Smoky Mountains bed and breakfasts and inns are perfect for that romantic getaway, annual girls weekend, or family vacations. 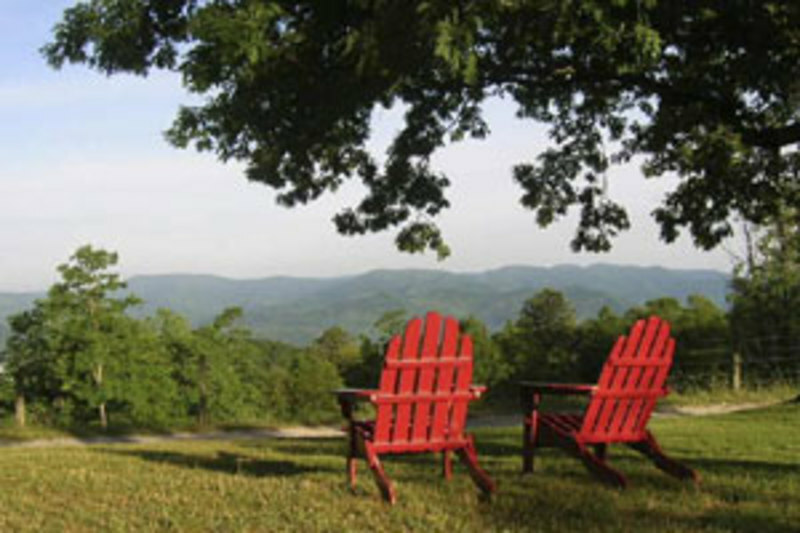 Browse the listings below to find the perfect Smoky Mountain bed and breakfast or country inn for your next trip. 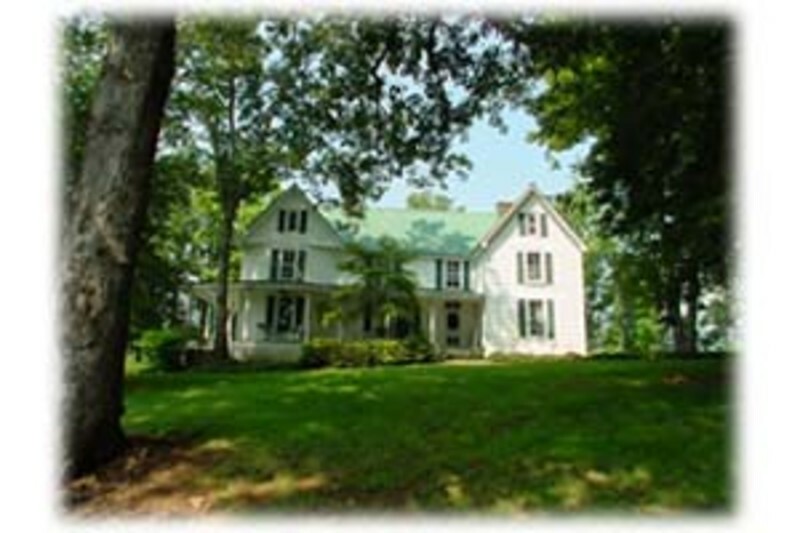 Originally constructed in 1902, Andon-Reid Bed and Breakfast Inn is now designated as a Waynesville historic property. 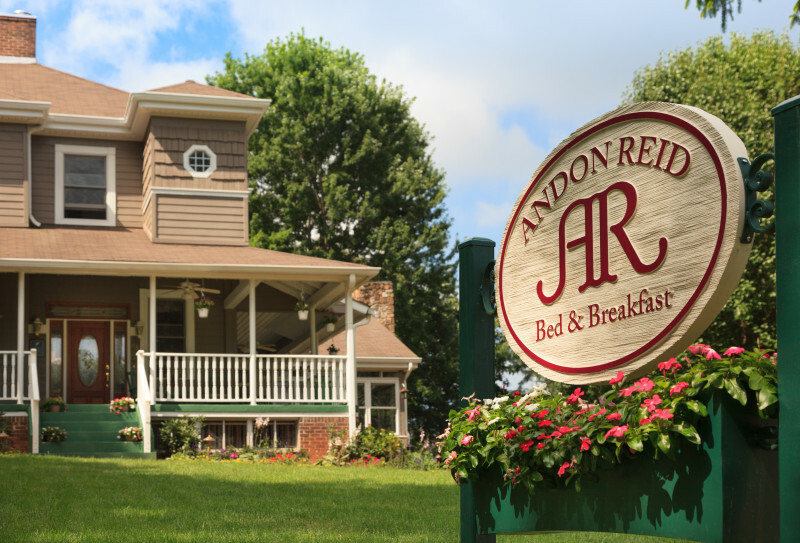 Tripadvisor recognized this in 2015, rating the Andon-Reid Inn a USA Top 25 B&B. During your stay you will enjoy a delicious complimentary cooked breakfast made from scratch each morning. You will have access to our free wireless internet anywhere in the bed and breakfast, including your room, the comfy guest lounge, outside on the wraparound porch, or even down on the patio by our cozy fire pit. We provide concierge services, guest printing, a large well-equipped games room, gym equipment and cable TV for your convenience and enjoyment. One of the most unique and spectacular mountaintop hideaways in America, located just a few miles outside of the village of Highlands, NC on hundreds of acres. 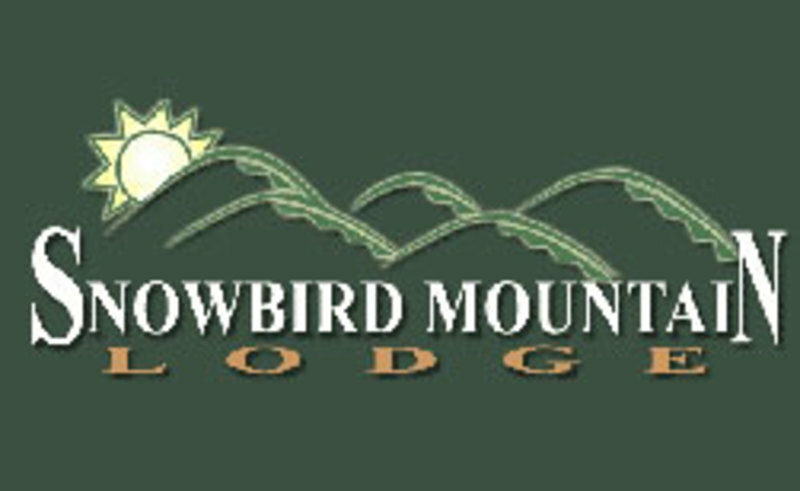 At the highest point on Fire Mountain, at an elevation of over 4,000', sits a secluded mountaintop retreat composed of a sophisticated contemporary inn, the private and intimate Treehouses of the Inn and our luxury mountaintop cabins, all having exquisite long-range mountain views. Fire Mountain is a secluded mountaintop retreat with springs, streams, ponds, waterfalls and hiking trails ... truly a wonderful retreat from the outside world. The Franklin Terrace, built as a school in 1887, is listed in The National Register of Historic Places. 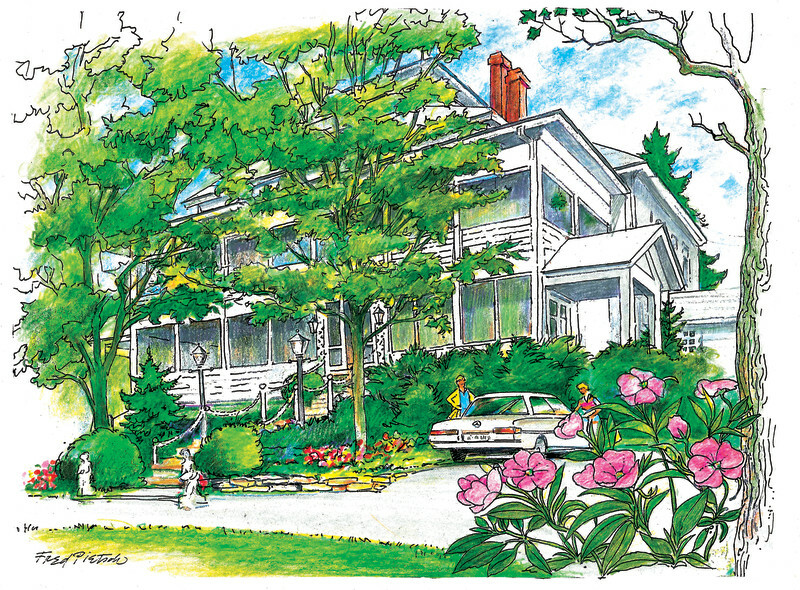 The Terrace is a lovely two-story bed & breakfast inn that offers nostalgic charm and comfortable accomodations. It's wide porches and large guest rooms filled with period antiques will carry you to a time gone by when Southern hospitality was at its best. The Terrace offers a casual shopping experience where you can browse through the antiques, crafts, and gifts for sale on the main floor. However, you will also be in walking distance of Franklin's famous gem shops, clothing boutiques, and fine restaurants. The Historic Fryemont Inn has 37 chestnut paneled rooms and an excellent full service dining room and bar. From mid-April through November, a big country breakfast and delicious 4-course dinner are included in the room rates. The dining room is also open to the public for both dinner and breakfast, and is a favorite of tourists and locals alike. In addition, the Fryemont Inn has one two-bedroom cabin (our pet-friendly accommodation) and 8 fireplace suites that are adjacent to the Historic Lodge. The cabin and fireplace suites are open all year. The enormous stone fireplaces and gleaming hardwood floors lend an atmosphere of casual elegance and rustic beauty to this beautiful Historic Inn. The swimming pool, nestled in a grove of poplar and dogwoods is open June through September, weather permitting. The Fryemont Inn is a unquie vantage point from which to explore the natural beauty and rich cultural heritage of Western North Carolina. 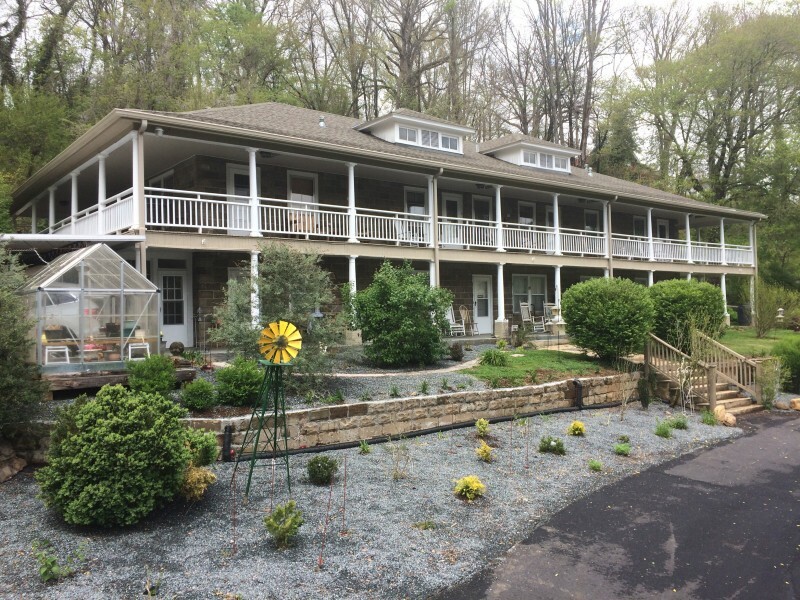 Situated on a mountain shelf over looking the quiet village of Bryson City and the Great Smoky Mountains National Park, the Inn offers you secluded comfort and excellent dining in a relaxing atmosphere that has been carefully preserved for 88 years. 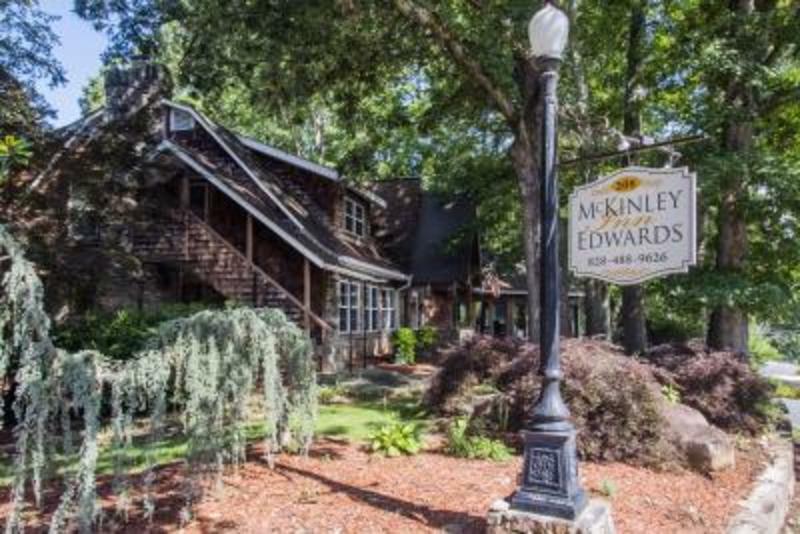 The McKinley Edwards Inn, located in a quiet residential neighborhood, overlooks Bryson City and the Great Smoky Mountains. It is two blocks from town and convenient to restaurants, shops and attractions, including the Great Smoky Mountains Railroad. 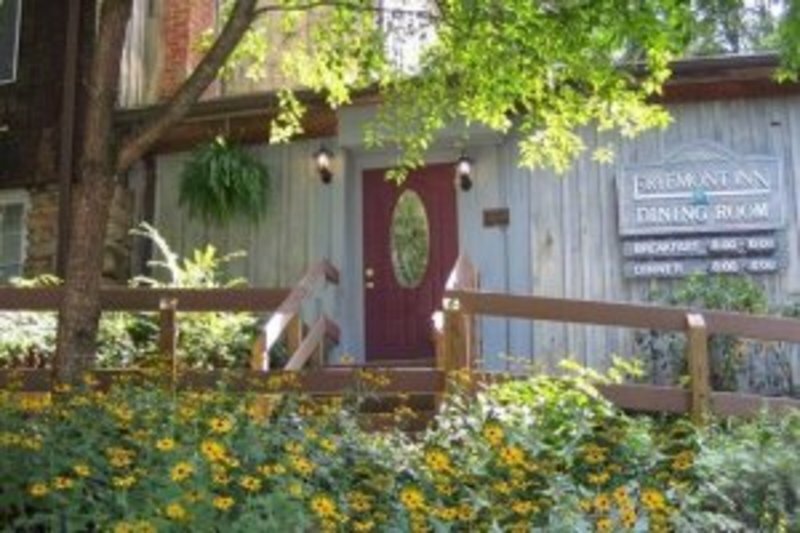 The Inn offers upscale boutique hotel lodging in a historic Bryson City landmark. There are 12 large guestrooms plus a two-bedroom, one bath cabin with three queen beds, a queen sleeper sofa and full kitchen, perfect for a family. Three guestrooms and the cabin are pet friendly. The Inn offers a continental breakfast in the main house, which has multiple common rooms for activities such as TV, movies, board games and visiting. There is a large public great room for events, workshops and small weddings. Lodging is in a separate building just a few steps from the main house. The Oak Hill Country Inn Bed and Breakfast in Franklin, North Carolina invites you to experience the joys of living in a more gracious time. 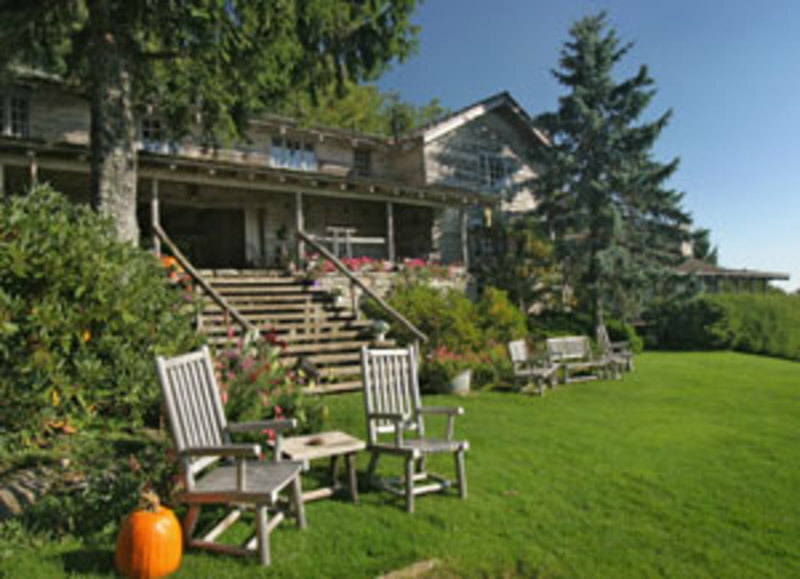 Whether your stay is for pleasure or business, the Oak Hill Country Inn Bed and Breakfast will meet your needs, indulge your wants, and create delightful memories. Private baths, queen beds, wireless DSL and a bountiful breakfast. Open year round. An unspoiled, hidden vacation oasis tucked away in the southern Appalachian Mountains of western North Carolina. This rustic, yet elegant mountain retreat rests among 100 acres of undisturbed mountaintop in Graham County, North Carolina, just eleven miles from the town of Robbinsville. Built during the years 1939 thru 1941, the historic lodge is constructed of native stone in shades of warm gray to molten yellow and many varieties of native hardwoods including chestnut, butternut, wild cherry, and basswood. Each of the spacious guestrooms in the Main Lodge is paneled in a different hardwood while the library and lobby are constructed mainly of wormy chestnut and American chestnut. A massive stone fireplace and a large picture window with a spectacular view of the Snowbird Mountains are the focal points in the library. Walk a few feet and escape into the grandeur of our National Park. With fourteen unique accommodations boasting wood-burning fireplaces, steam showers, saunas, private balconies and three gourmet meals you'll find our ritzy rustic hideaway at 5,000 feet.